If you are in the market for North Carolina luxury homes for sale, there is no question you need a real estate agent who specializes in the high-end homes. The Mountain Group at Premier Sotheby’s International Realty is the premier choice, and you’ll soon see why. The approach tends to be slightly more demanding, and it takes both experience and tact to successfully handle a luxury sale. While our site is a great resource for house hunting and learning about the area, available luxury properties aren’t always easy to find because of privacy matters. It’s our duty to be privy to inside information about listings before they hit the open market. We stay on top of all activity so our clients don’t miss an opportunity. Equally important, the lack of similar properties doesn’t pose a problem for us in determining the market value of a house. While the common method of doing a market analysis and comparing recently sold homes of the same nature isn’t a practical option with higher-end houses, our team is equipped to value them via other tried and true ways. Given the limited number of luxury homes for sale in North Carolina, or in any market for that matter, timing is everything. When more than one offer comes in on a property, the price tends to go up. All-cash deals aren’t a must, but if you’re going to use financing, you’ll want to have that part of the process in check. The Mountain Group at Premier Sotheby’s International Realty will work with you to streamline every step we can. Sometimes, buyers have a detailed idea of what they’re hoping to find in terms of the look of the property, and other times, they have a blank list with the free-spirit mentality of “we’ll know when we see it.” Either attitude, or one in between, is adequate to us. Whether you are searching for a sprawling stone castle atop a mountain, have nothing but the location pinned down, or want to find a home with your favorite deluxe amenities, we’ll run with it. Your needs tailor our services. 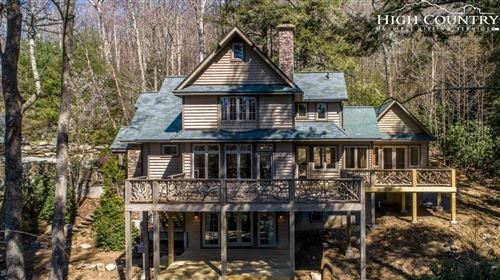 Let The Mountain Group at Premier Sotheby’s International Realty take care of you on this North Carolina luxury home pursuit.